It isn't personal, she says. You see words falling out of her mouth and piling up in no particular order, some of them launched at bullet speed, but she isn't, she says, trying to hurt you. It's only words, you tell yourself, but still you feel them like punches, you want to check yourself for broken bones. 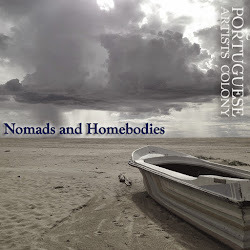 Let Portuguese Artists Colony lead you into safety on Sunday, January 5, at the Make-Out Room. Tom Barbash is the author of the short story collection, Stay Up With Me, published this fall by Ecco/Harper Collins. His novel, The Last Good Chance, was a Publishers Weekly Book of the Year. Carolyn Cooke's new book is a collection of short stories called Amor and Psycho. She chairs the MFA Program at the California Institute of Integral Studies in San Francisco. Maisha Z. Johnson is a queer writer and activist with an MFA in poetry from Pacific University. She blogs about writing and social change at www.maishazjohnson.com. Plus! We'll hear from November's live writing winner, Nicole M. Taylor. New work from Founder Caitlin Myer, plus special appearances from surprise guests!